Hello friends!! 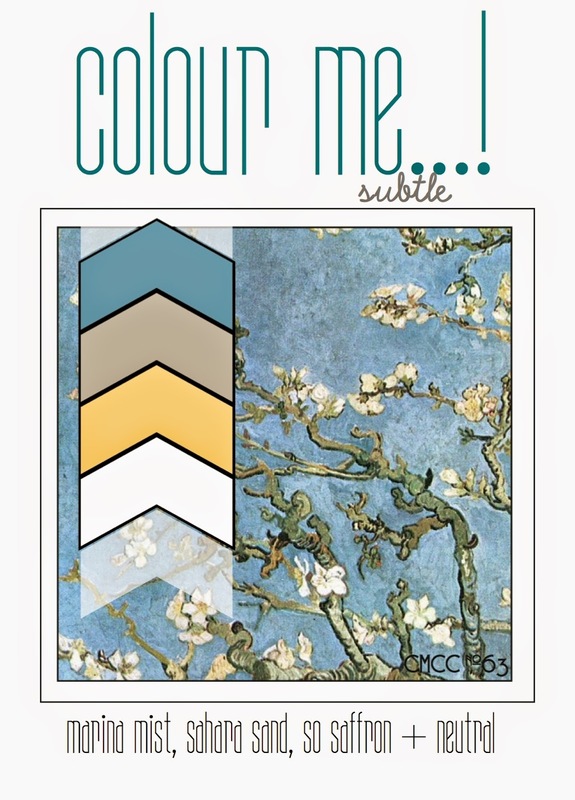 Popping in with a card I made for several challenges: Viva La Verve Week 4, ColourQ and Seize the Birthday - Anything Goes. Don't you like it when you can make one card and have it fit several challenges? I know I do, lol!! 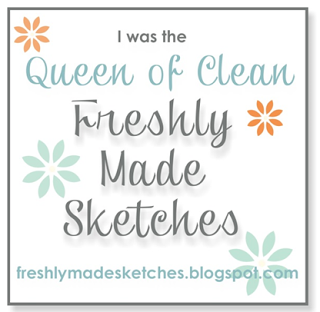 I love the clean and simple style of the Verve sketch... this is one I may have to use again in the future. Originally I was going to title this post "birthday bluebells" but then I realized my "bluebells" weren't blue, but pink and pale plum! All the stamps and dies are from Verve. 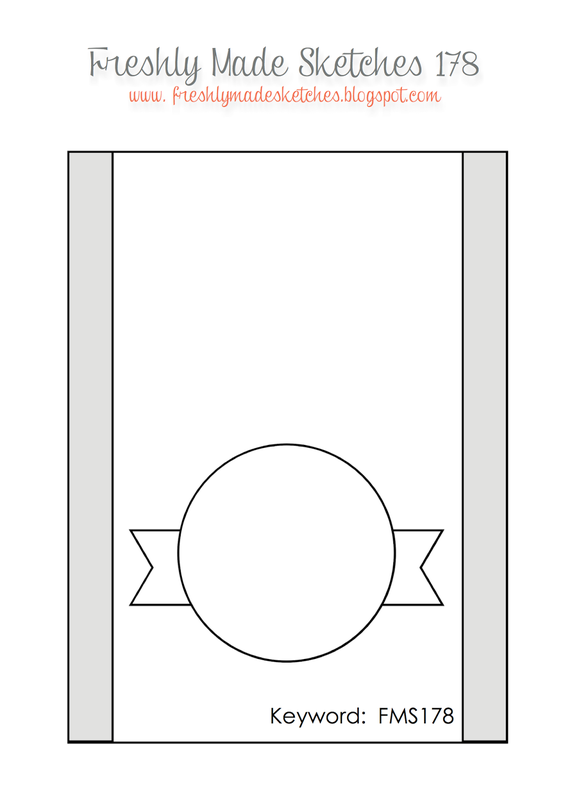 I used the Verve sets Framed Florals and Joyful Blooms and the Verve dies Flag It, Bluebells and Pennant Trim. After die cutting and stamping everything I decided to add in some patterned paper with a neutral background and found this sweet little black and white polka dot paper in the Teresa Collins Hello My Name Is 6x6 pad. I think it provides a nice break to all the whiteness of the cardstock. I did a little distressing to the edges of the patterned paper, as well as the main panel. I popped up the pennant trim as well as one of the bluebells for some additional dimension. Hello friends!!! We have had some silly weather here in Western Washington. Yesterday it was rainy and cold and told we have sunshine and warm! I will definitely take the sunny and warm! 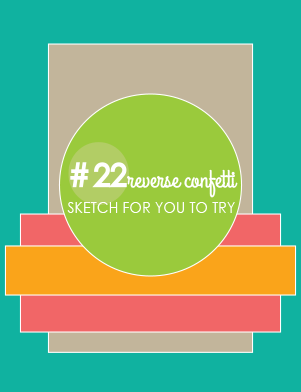 Have a card I made using the Reverse Confetti March Sketch for You to Try. 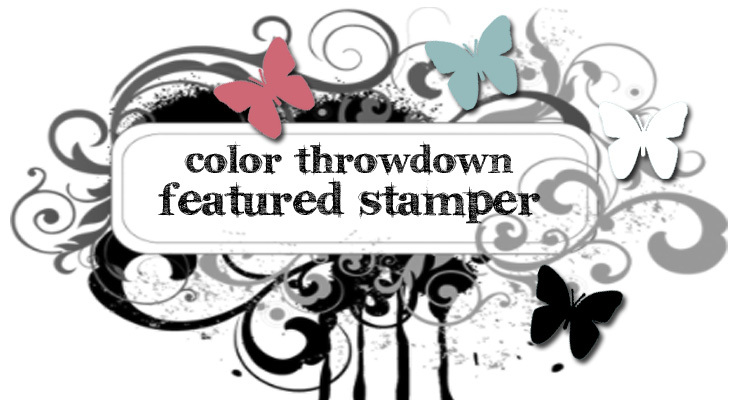 I think I will post this to the current Simon Says Stamp Work It Wednesday since I do have stamping on it, as well as the Simon Says Stamp Wednesday Challenge of anything goes. That cloud cover plate is just about one of the most clever things I have seen lately and I just love how the finished piece came out. I did trim off some of the bottom so that more of the sunshine would appear through the clouds. After I layered everything up I added some Crystal stickles to some of the clouds for a bit of sparkle. 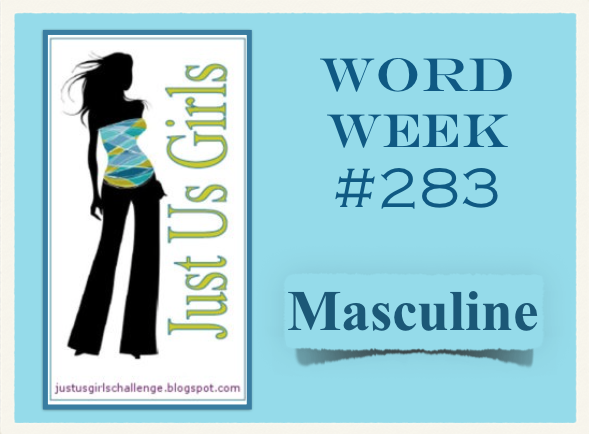 Posting this to the current Simon Says Stamp Wednesday challenge: Anything Goes. Hey friends!!! 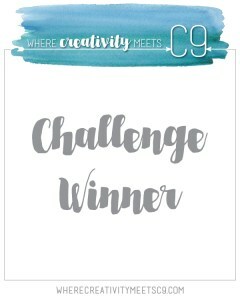 Popping in with a card I made for a couple of challenges, CAS on Sundays (a sketch) and Essentials by Ellen Pin-Sights challenge. Don't you just love that saying... "oh happy day"? It almost wasn't a happy day for me because the stamp set that this sentiment came from almost didn't make it to my house! I had ordered a few things from Ellen Hutson last week and since she is just a few miles (well more than a few... maybe 30, lol) up the road from me I knew I would get it right away. The package was due to arrive on Friday, but much to my surprise it wasn't in my mailbox even though the tracking said it was delivered to me! So. Not. Happy! Called the post office and let them know that I didn't get it. I had a feeling it had been delivered to the wrong house and thankfully I was right when my nice neighbor (who got it instead of me) brought it down on Sunday afternoon. YAY! 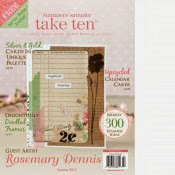 My order included the Essentials by Ellen Bold Blooms stamp set, the matching dies and the Bold Blooms stand alone dies. The second Essentials by Ellen challenge is a photo inspiration one. 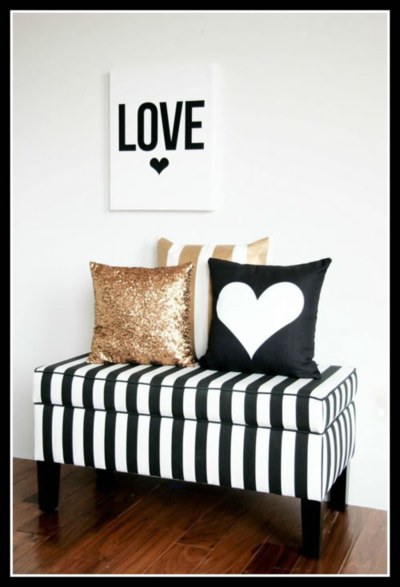 I took my inspiration from the colors uses (black, gold and white), as well as the strips on the bench. I die cut the scribble blooms and leaves from black and gold glitter cardstock. The stripped paper is from the My Mind's Eye Mint Julip 6x6 pad. The sentiment was stamped using VersaFine Onyx Black ink. Given that I have a ton of patterned paper you would think I could find a piece that had black and white strips on it, but not so! I had to hunt around to find the piece that I used for my project! Hey friends!! Popping in with a couple of cards that I made last night both cards use the same color scheme of yellow, grey, black and white. 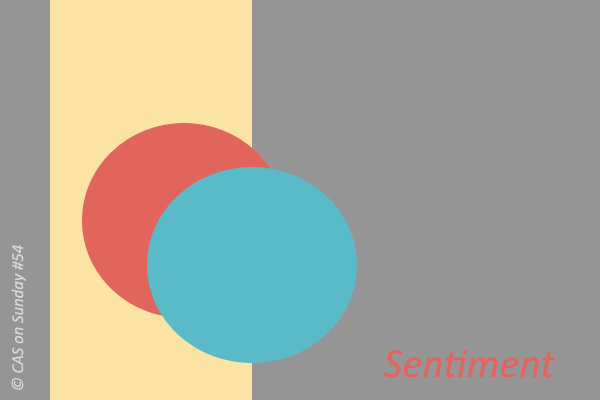 This color combo is featured in the Simon Says Stamp March card kit. One card is for the Viva La Verve sketch challenge - week 2 and the other card is for the current Freshly Made Sketches challenge, as well as the current Paper Players challenge - CAS floral. Last night when I made this card (for FMS and PP) I wasn't really happy with how it turned out. But this morning when I walked into the kitchen and took another look at it I really liked what I saw. Do you ever do that? Not like something when you make it and then when you see it a few hours later really like it? I cut the grey panel and then partially embossed it. A piece of patterned paper from the SSS March kit was cut as a mat for the grey panel and then adhered to the grey panel. The kit included a fun little die called Medium Dot Line and I used that to cut the little strip behind the flower. The flower (from the SSS February kit) was die cut, stamped with SU! 's So Saffron ink, I added some silver metallic thread behind the flower and then adhered it to the strip. The entire piece was adhered, sentiment added (from the SSS set Sparkle & Shine) and the panel adhered to the card base. Now, when I finished this card I really liked how it turned out and I still do, lol!! The only thing I would change is the yellow ink that I used. 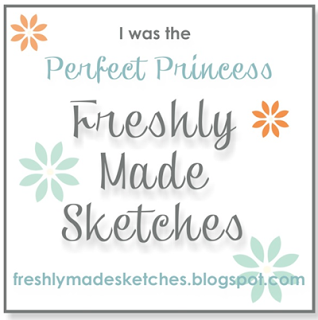 I bought Stampin Up! 's Hello Honey ink and to be honest, I don't really like it. It is rather harsh looking and not very pretty. But I think by using more grey I was able to tone it down. The stamps and dies are from Verve. I used the Verve sets So Fluttery and Unto Us. I die cut the label using the Verve Classy Label die and then stamped it with the corresponding image using Hello Honey ink. The butterflies and sentiment are from So Fluttery. Die cut them, stamped the outline with Hello Honey and the solid in grey. Everything else is pretty self-explanatory! Supplies: Cardstock: Recollections white; PTI Fresh Snow linen; SSS grey; PP: Authentique; Stamps: Simon Says Stamp and Verve; Dies: Simon Says Stamp, Verve and My Favorite Things; Inks: VersaFine Black Onyx, Stampin Up! Hello Honey & So Saffron; paper doily; twine; embossing folder; silver metallic thread. Hey friends! Popping in with a one layer card for a couple of challenges. I used to make one layer cards all the time, but lately have found them difficult to make... I think it is the sort of unforgiving nature of a one layer card. Make a mistake and you have to pretty much start all over! 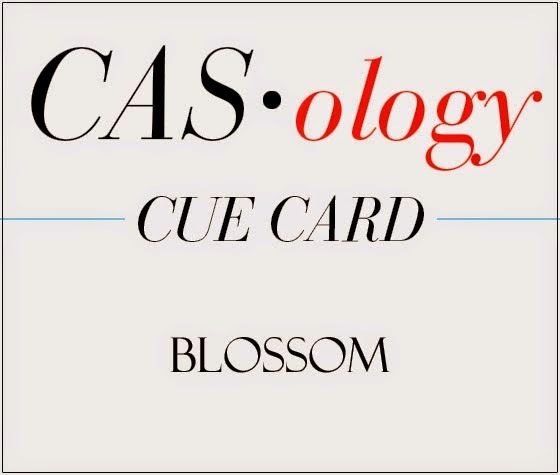 Anywhoo... this one is for the current AAA Card challenge: Bare Naked CAS and CASology: Blossom. The current Simon Says Stamp flickr challenge is one layer so I have posted this in the SSS flickr group, as well. 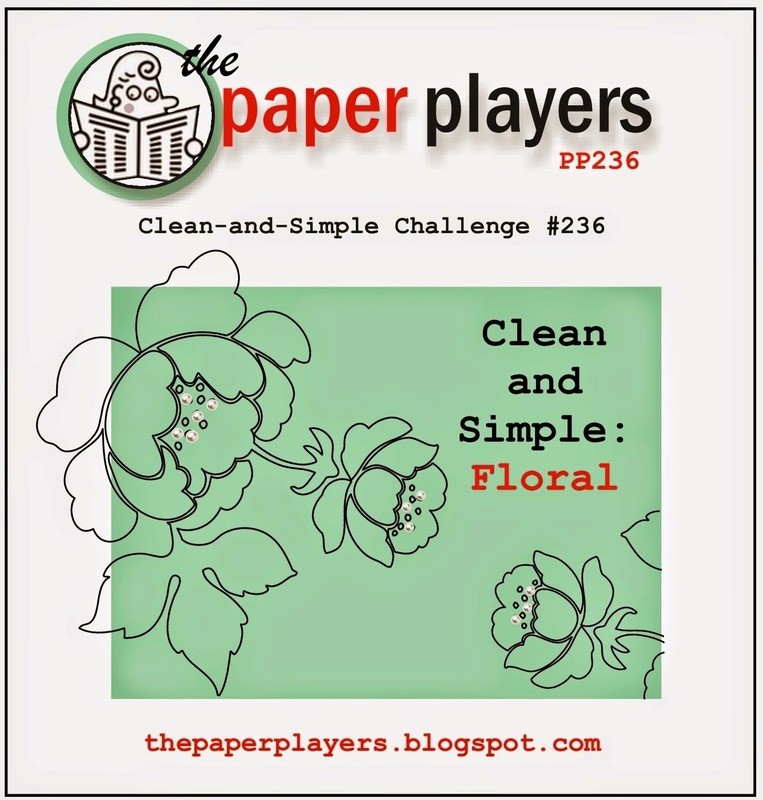 ETA: posting this to the current Paper Players challenge: Clean and Simple Floral. Recently got the Simon Says Stamp February card kit. Love the beautiful stamp set that came in the kit and have used it here. 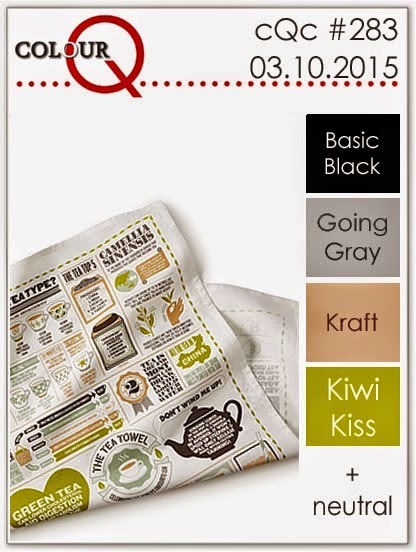 The color combo is based on the current Splitcoaststampers color challenge: white, grey and wisteria with a touch of green. I stamped the flower using SU! 's Wisteria Wonder ink, made a mask and then stamped the leaves using SU! 's Smoky Slate. The center of the flower was added using Memento Pear Tart. I added a few more little flowers in the Wisteria Wonder and some dots using Pear Tart. The sentiment was stamped using VersaFine Onyx Black. A bit of black Liquid Pearls was also added. Hey friends!! Wow... it has been awhile since I last posted. My desire to do any paper crafting kinda fell off a cliff, lol!! I tried over the weekend to make a few things but nothing came of it until late on Sunday evening. I finally came up with a couple of cards that I was happy with. 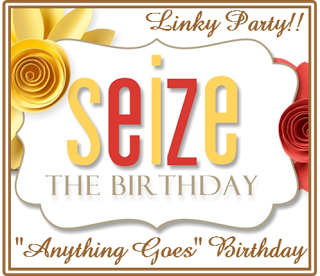 Sharing one today that I made for the current Seize the Birthday - make the sentiment the focus. I had thought I was going to get something made for the AAA Card Challenge to make something involving watercoloring, but wasn't able to come up with anything other than two panels that I water colored with some distress inks. Finally late on Sunday evening I made this card using a fun A Jillian Vance Design set called Celebrate Cake. I stamped the cake stand in black ink and then added the sentiment using Seedless Preserves distress ink. Seedless Preserves and Milled Lavender were the two colors I used to water color the panel. I trimmed down the panel, added the twine and clear sequins. Mounted it on a light grey card base. Hey friends!! Popping in with a card for several challenges. Recently Ellen Hutson started a new challenge and I'm playing along with the first one: Mix it Up (combine Essentials by Ellen with Hero Arts). 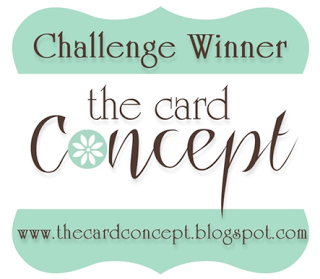 I used the ColourQ combo, as well as the layout from Retro Sketches so I will be posting my card to those challenges, as well. 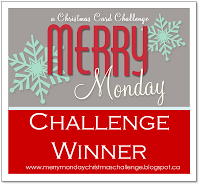 I own one Essentials by Ellen stamp set, Merry & Bright, as well as one Essentials by Ellen die, Prize Stag. I combined the Merry & Bright set with the Hero Arts background stamp, Lattice and created this some what unconventional holiday card. After stamping the background in grey on my cardstock panel, I cut the panel in two and then added the little starburst using chartreuse green ink. The large starburst was stamped in kraft ink, a tangle of black twine and the deer (die cut from chartreuse green cardstock) were added. After attaching the piece to my card front I thought it would be fun to add a tag to the antler. I found a small tag, cut it down a bit more, stamped it with the sentiment and attached it to the antler. A few enamel dots and some clear rhinestones were added. Hey friends!! Popping in with a card that I made for the current Penny Black Saturday Challenge - spring flowers. My in real life friend, Greta, is one of the design team members for the PBSC and it has been my goal since she joined the team to play along... finally that day has come, lol!! 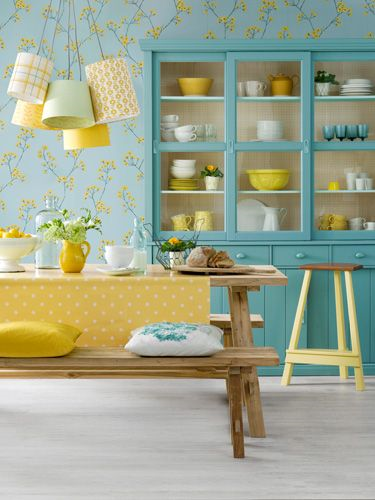 I'm also going to post this to Less is More - yellow and green. I bought this gorgeous Penny Black stamp Botanical Notes ages ago and had never inked it. No one makes collage stamps quite like Penny Black! 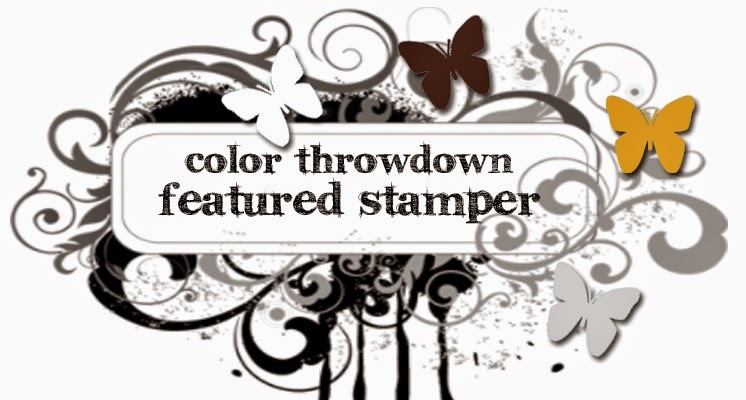 I inked up the stamp with Memento Rich Cocoa and colored it with Copic markers. I have to work some more on my coloring skills, but I really like how the flower turned out. The butterfly was stamped a second time, colored and trimmed out. I attached it and then added a little coating of Crystal Stickles to the center of the butterfly, as well as the center of the flower. I mounted it on a grey card base as I think it makes the colors pop a little more than a plain white card base. Decided not to put a sentiment on it... maybe I will at a later date. Hey friends!!! Enjoying a beautiful Sunday here in the Pacific Northwest! The sky is a beautiful blue and I can see Mt. Rainier and the Olympic mountains from my neighborhood!!! Have a little card to share that I made for a few challenges: Viva La Verve March - wk 1, Verve March Diva Inspiration - birthdays and Just us Girls - masculine. I went with a masculine birthday card. This was one of those cards that took entirely way too long to make. 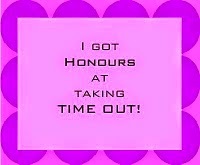 Mostly because of me, lol!! Sometimes I just get a little too wrapped up in making things look "right". 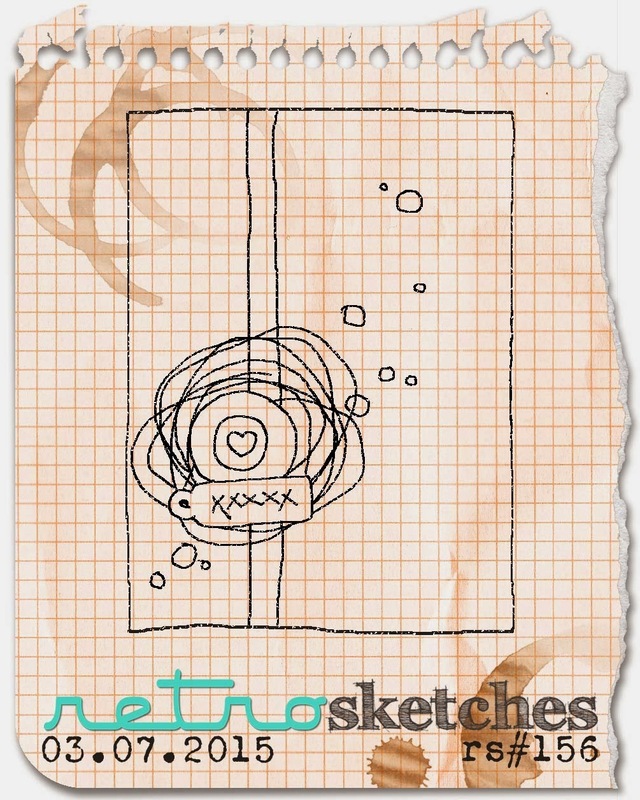 It didn't help that I took a sketch for a square card and turned it into one for a rectangular card. That's where the "making it look right" came in, lol! Anyway... finally got it finished. I used the Verve set Little Packages and some patterned papers from the Teresa Collins Memorabilia 6x6 pad. Lots of die cutting on this one... more die cutting than I have done in a while. Hey friends!! Popping in with a card that I made for the brand new challenge Sparkle and Shine. This new challenge is all about sequins and sparkle... 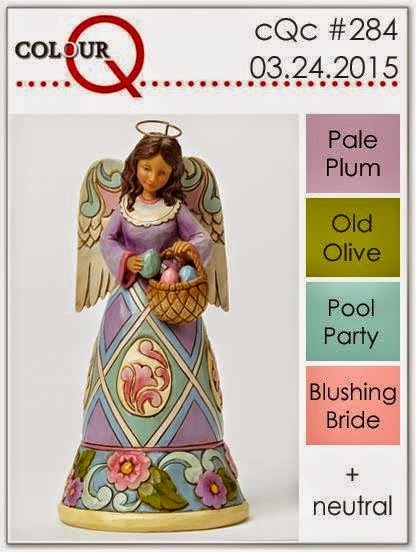 I have lots of sequins so it will be fun to play along with a challenge devoted to them! I'm also posting this to the current Simon Says Stamp Monday challenge... a hint of clover. 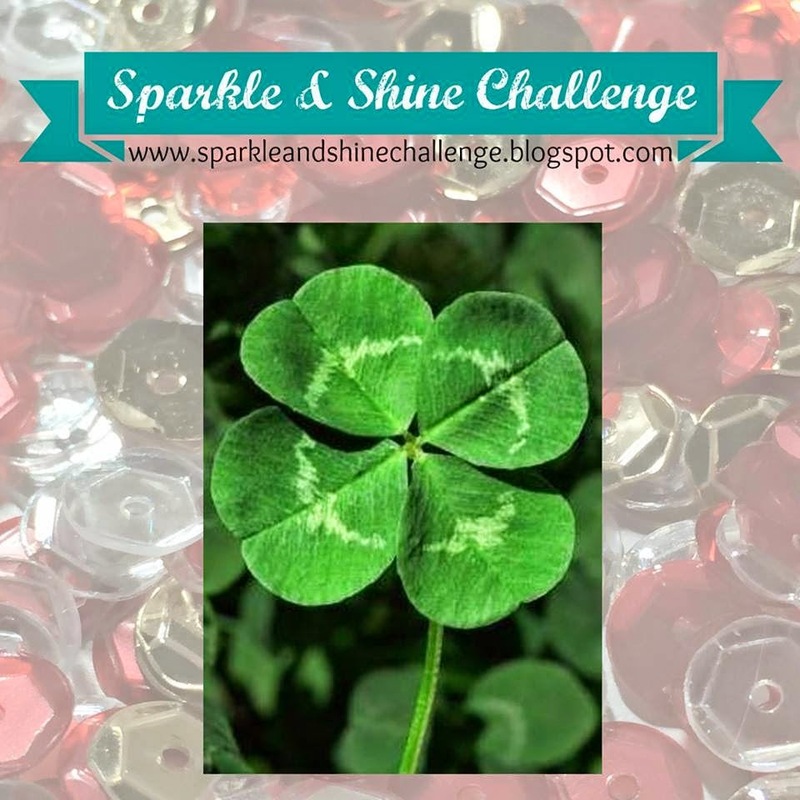 For the first Sparkle and Shine challenge we were given a charming little photo of a four leaf clover. I decided to go with a heart since the leaves of a clover are heart shaped. I dug through my extensive collection of wood veneers and found this rectangle with the heart in it. I pressed the piece into green ink (SU! 's Pear Pizzaz) to give it a nice green tint. Then came the hard part... filling up that heart with sequins! Seriously... took me three times before I got the look I was happy with! It is hard to tell, but I used light green sequins for my first layer and then added 4mm clear sequins on top. I'm still not happy with how it turned out... but after three tries I was done, lol! The sentiment and the little clover is from Taylored Expressions. This also works for the current Curtain Call challenge... may pop it in there. Hey friends!! 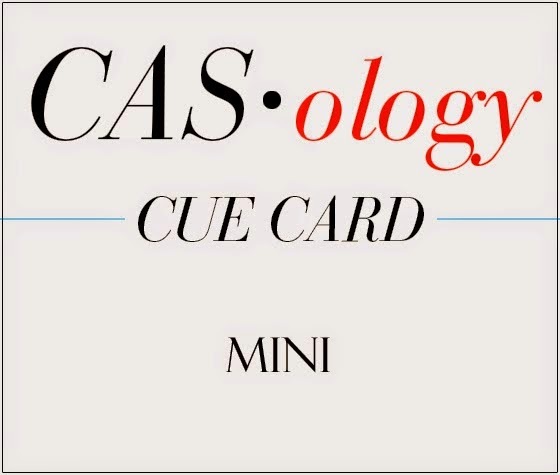 Popping in with a little card (literally... a little card... it measures 4 1/2 x 3 1/4) for two challenges: CASology (Cue word - mini) and Fusion. 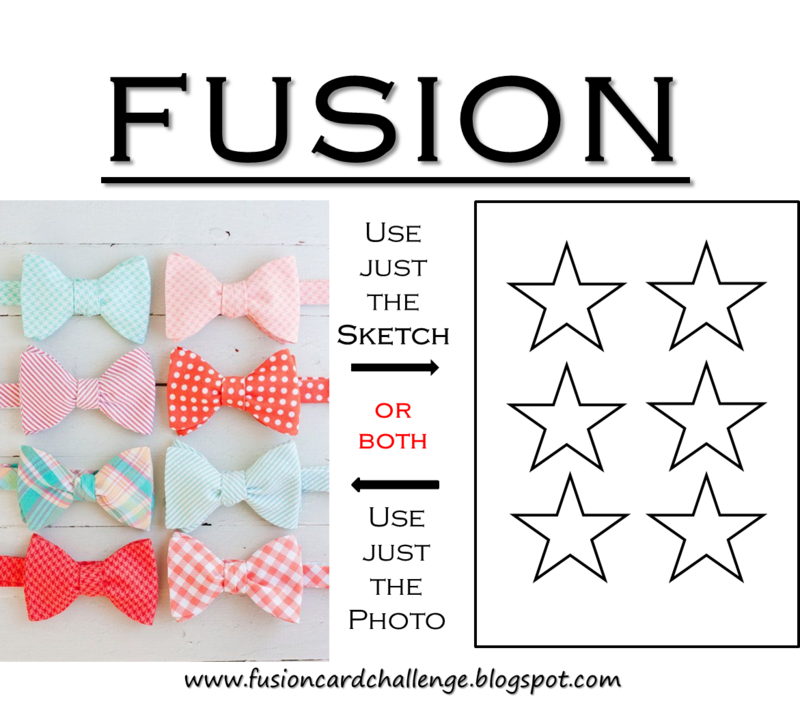 I used both the sketch and the bows for my mini card. The little bowties, as well as the size of the card fit CASology. A while ago I purchased a bundle of Amy Tangerine items from Peachy Cheap and one of the items in the bundle was a pack of little resin bows. Honestly when I saw the package I thought "what the heck am I going to do with those"??? I put them away with the idea that I would eventually given them to my nieces who would probably find some kind of use for them. That was until I saw the current Fusion challenge. Now I had a reason to use them. I cut down a piece of white cardstock to the approximate size of the acetate piece the bows came attached to, adhered the bows to the cardstock and then adhered that to my trimmed down card base. I wanted to use a sentiment like "tie one on", but I know I don't own a stamp with that saying on it. So I die cut a banner using my Reverse Confetti Beautiful Banners Confetti Cut, stamped the banner and the sentiment using the RC Beautiful Banners stamp set. Added some Crystal Stickles to both end of the banner and adhered it to the front.